Primary hepatic carcinoma remains a relatively uncommon disease in North America and Western Europe (0.5–2.0% of all cancers) [1, 2]. However it remains a much larger fraction (20–40%) in developing countries and is the 5th–6th most common malignancy worldwide (approximately 5.6% of all cancers) [3, 4]. 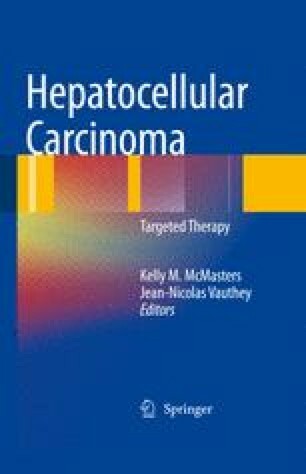 Hepatocellular carcinoma (HCC) is the most common primary malignancy of the liver (70–85%) with an estimated 500 thousand to 1 million new cases annually and an associated mortality of approximately 600,000 [3, 5]. Recent studies in the USA have shown that the incidence of HCC is increasing, most likely related to chronic HCV infection .